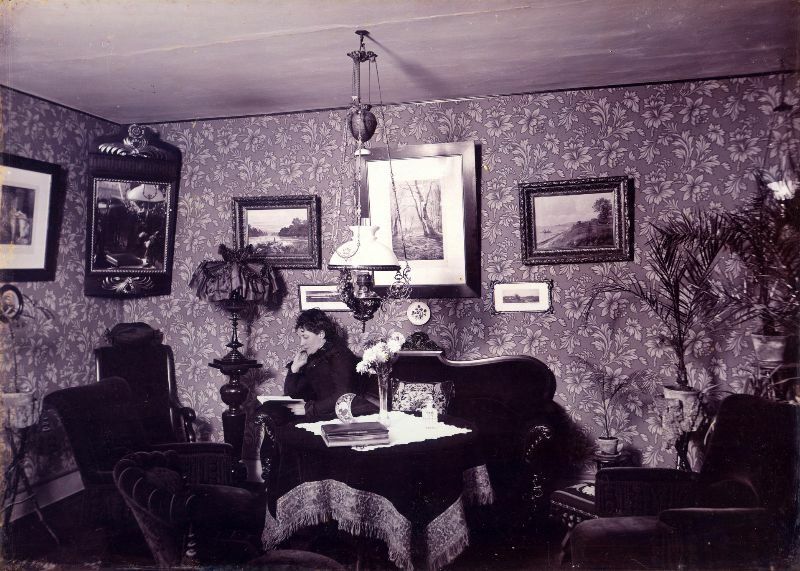 The Victorian essence is reflected in a somewhat busy environment designed to represent status, opulence, and romance. 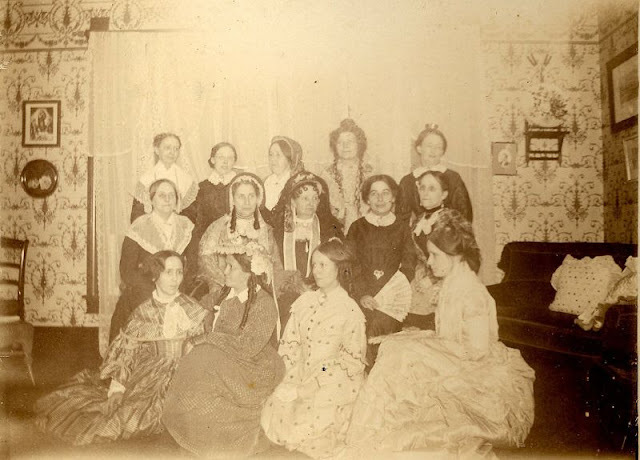 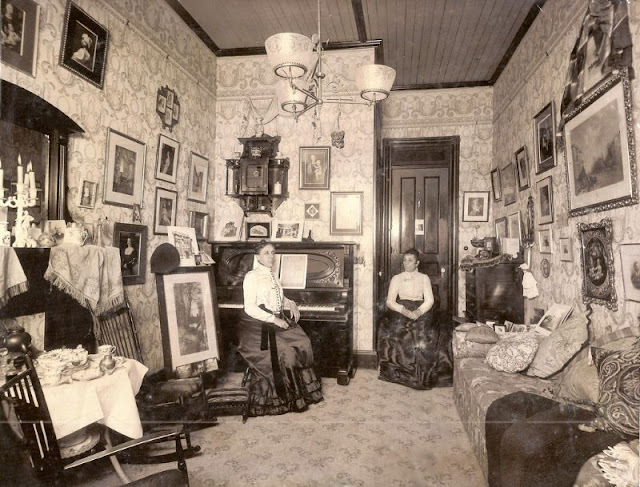 Victorian rooms were heavily decorated with rich furnishings, patterned wallpapers, colored tiles, pictorial tapestries, large houseplants, and chintz china. Interior surfaces were adorned with fleur-de-lys, medallions, arches, ovals, garlands and wreaths. 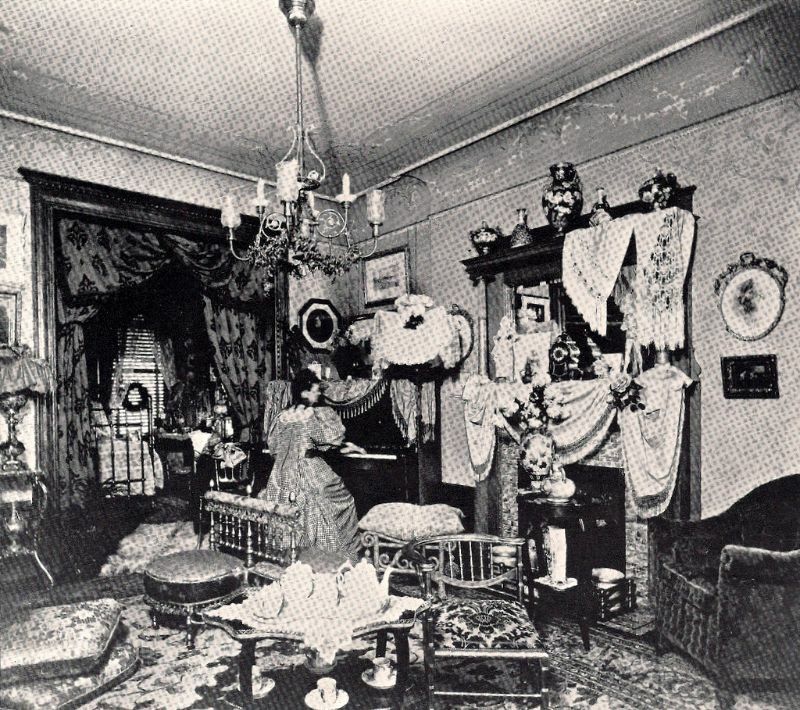 Sentimental pictures and drawings of kittens, puppies, fairies, and flowers filled the nooks and crannies of the Victorian rooms. Victorian interiors were as much a reflection of beauty as they were a demonstration of good manners and social etiquette. 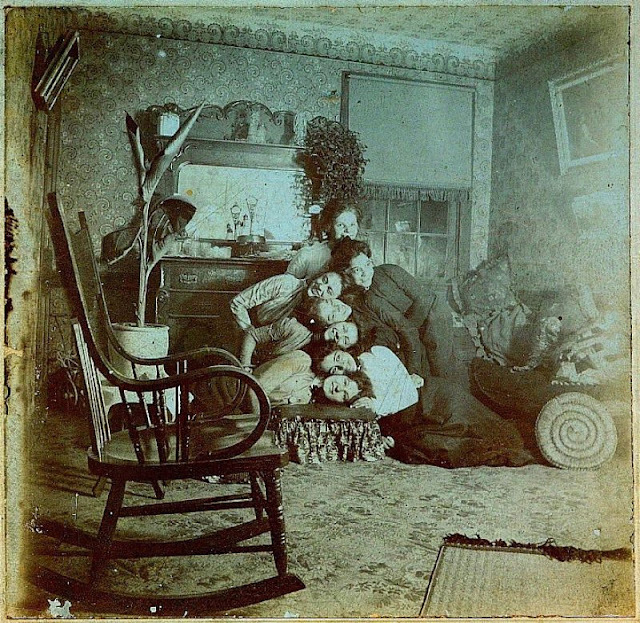 These design practices were very intentional. 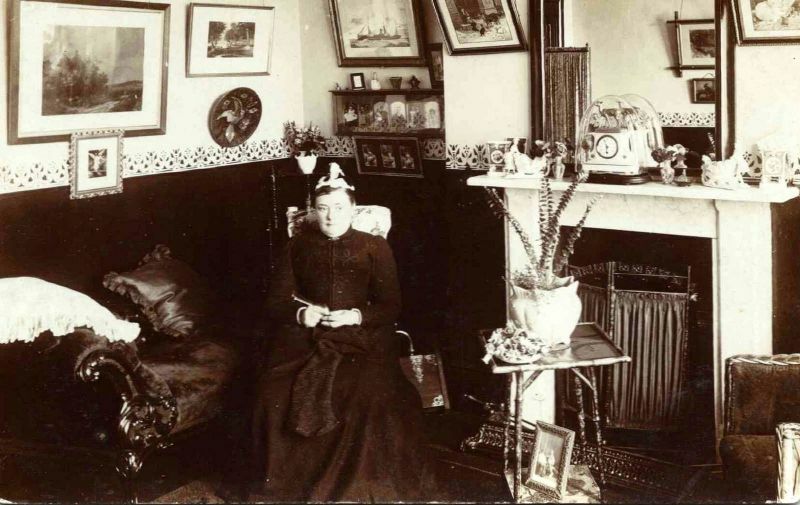 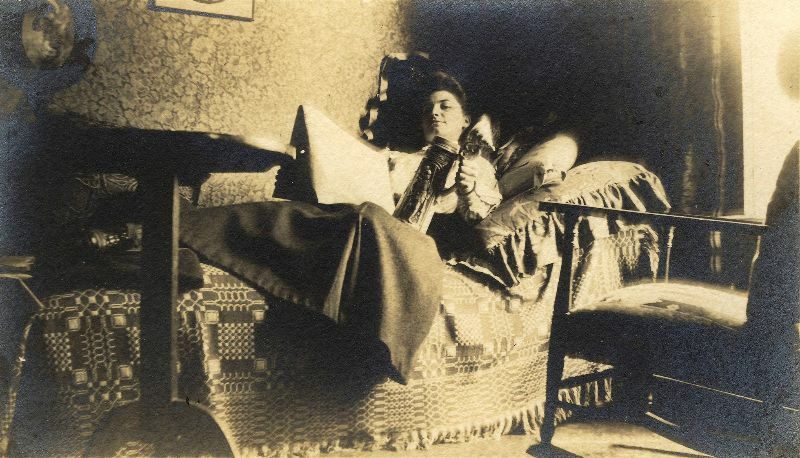 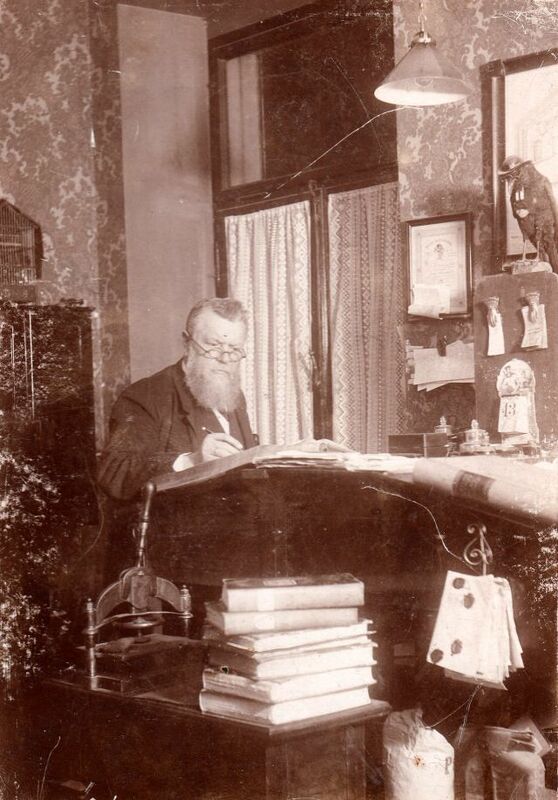 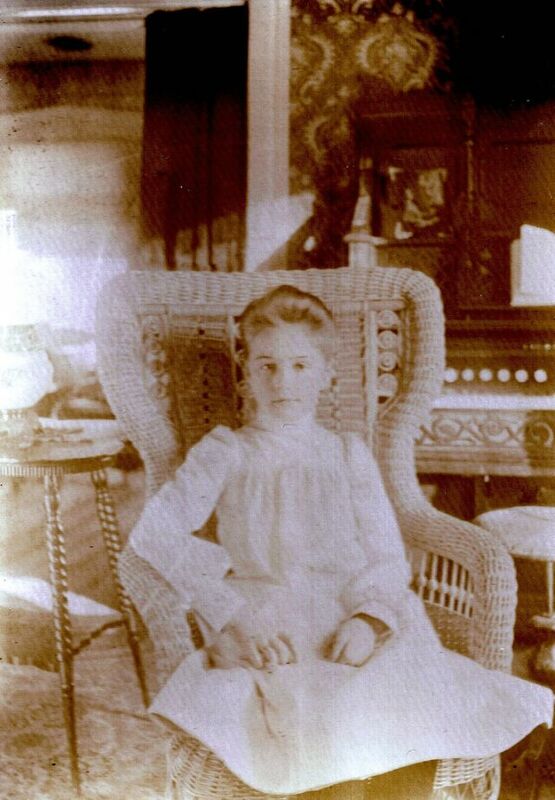 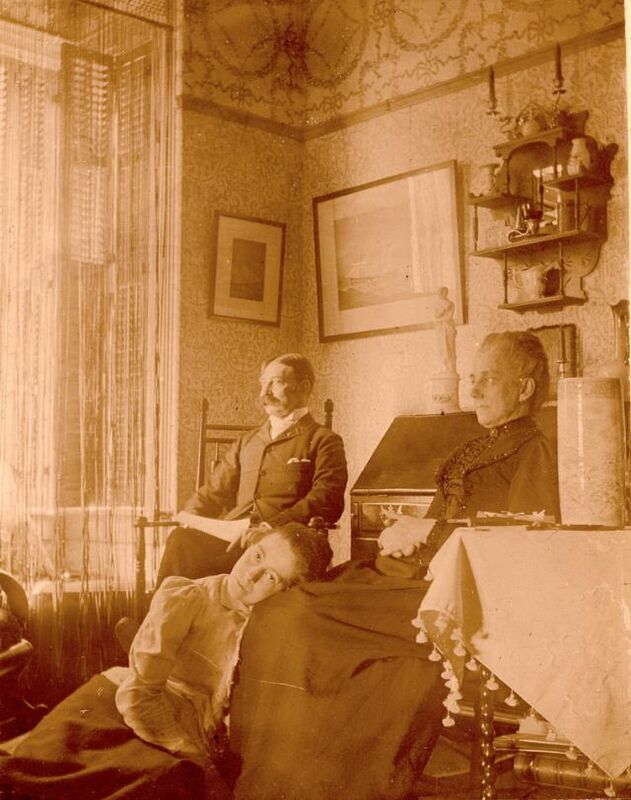 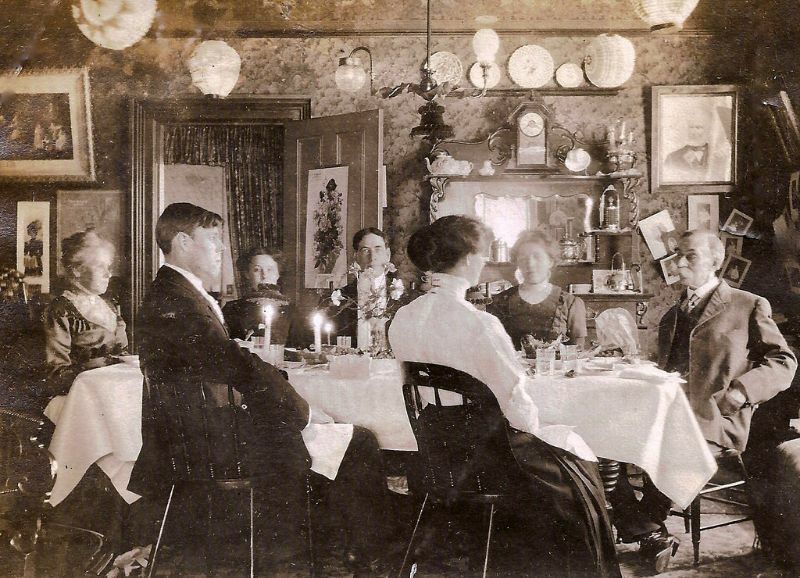 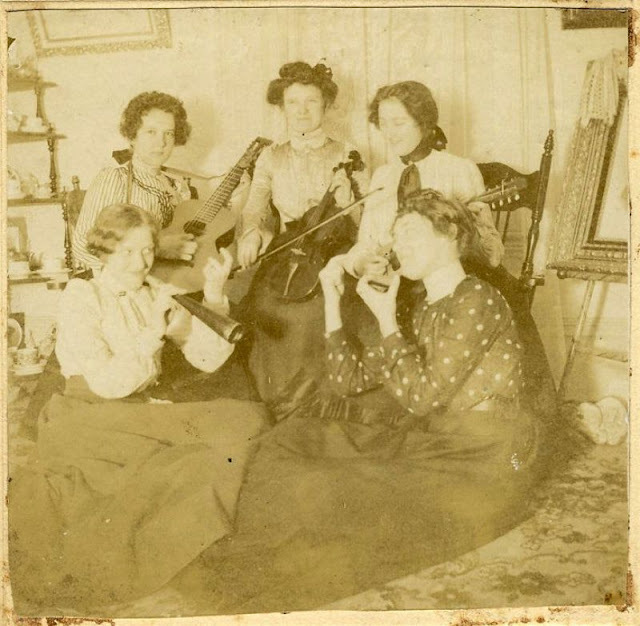 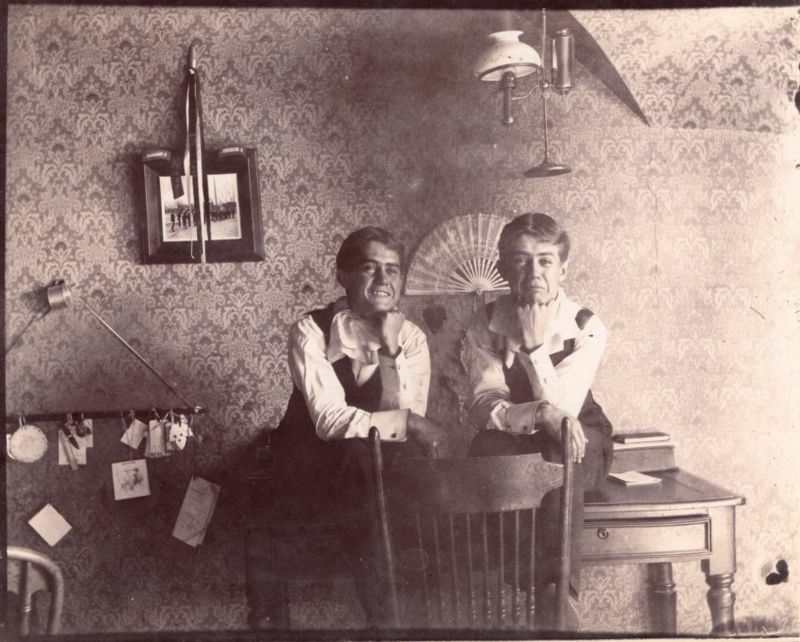 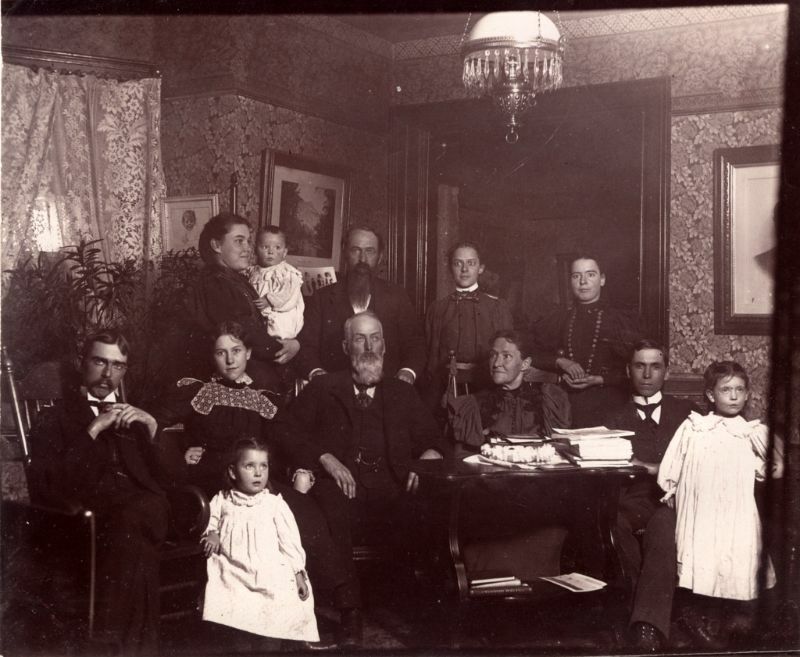 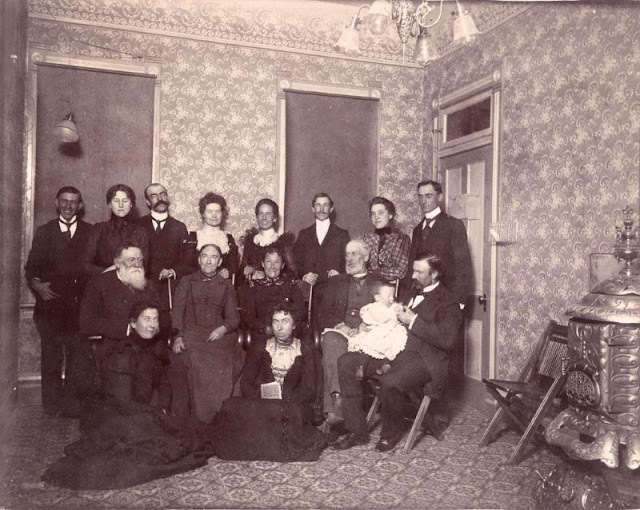 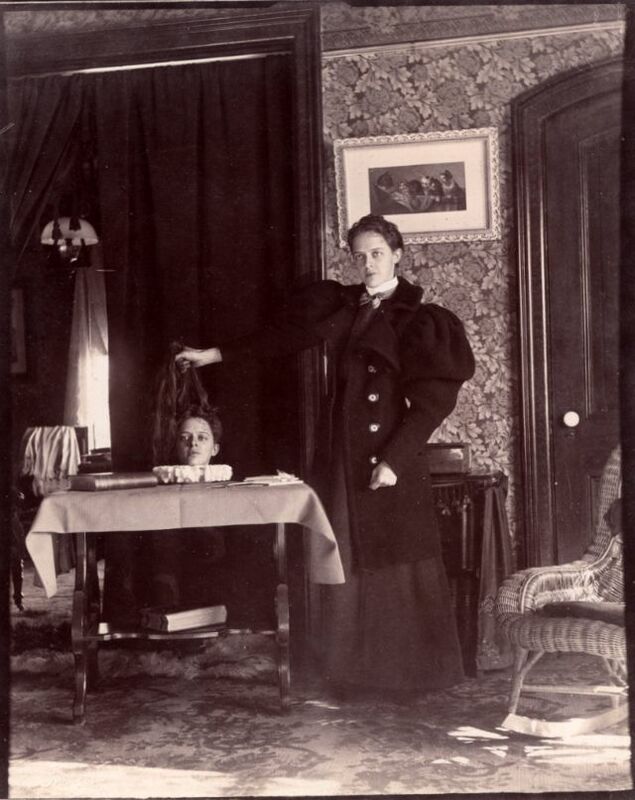 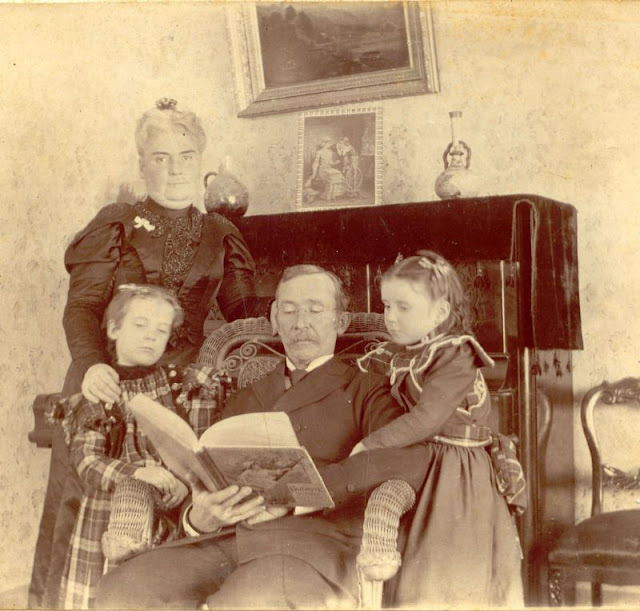 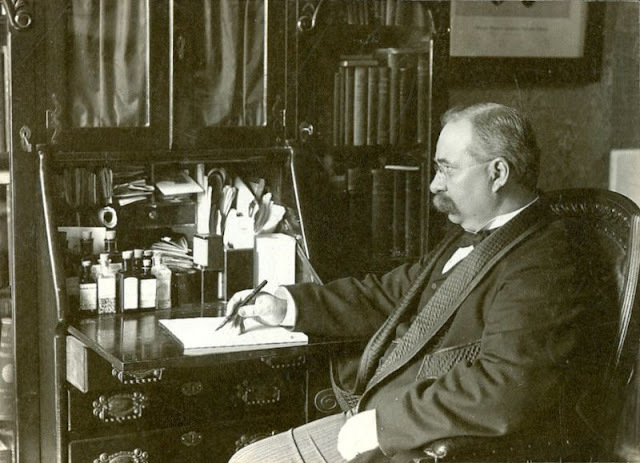 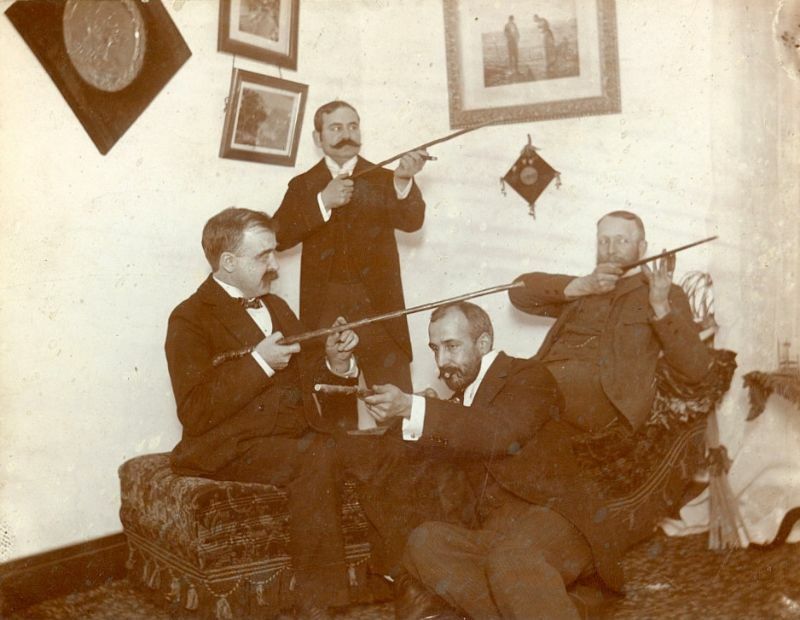 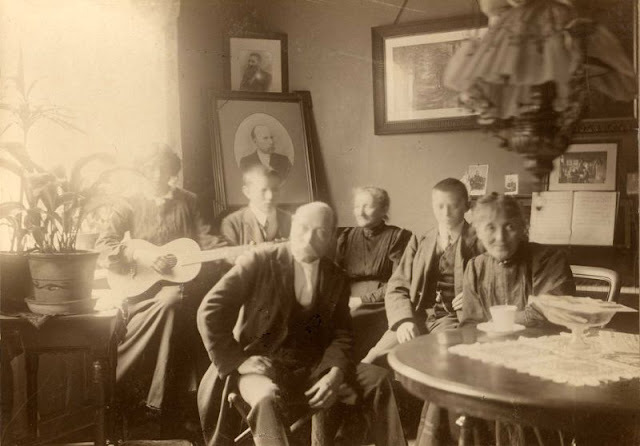 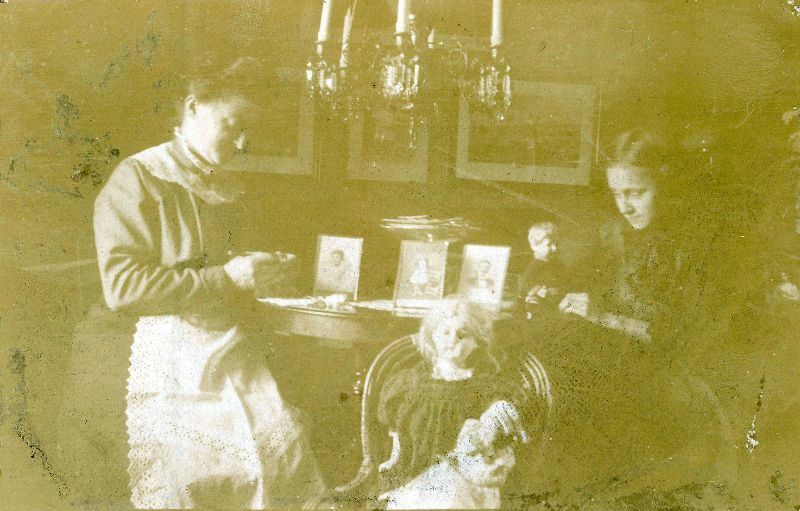 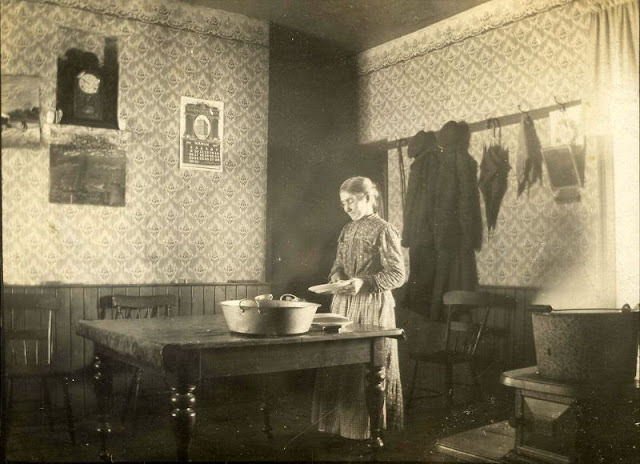 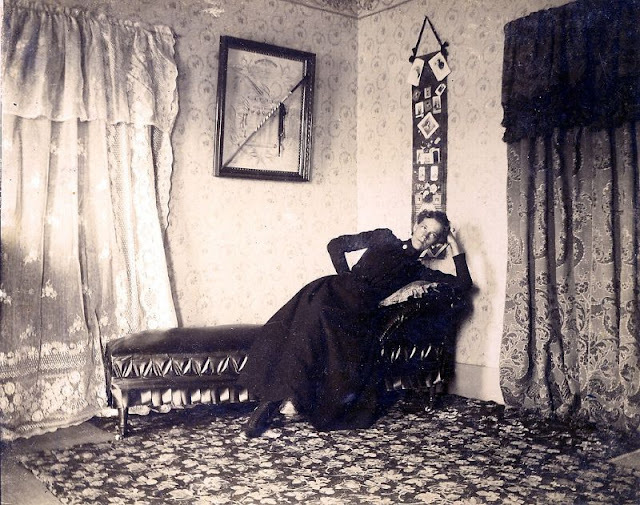 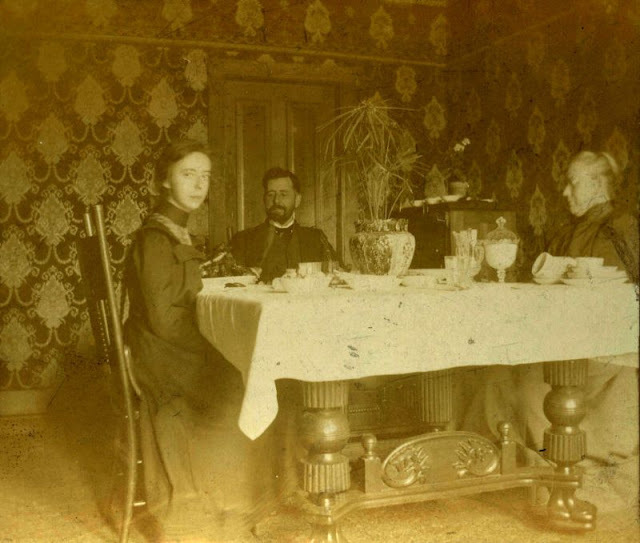 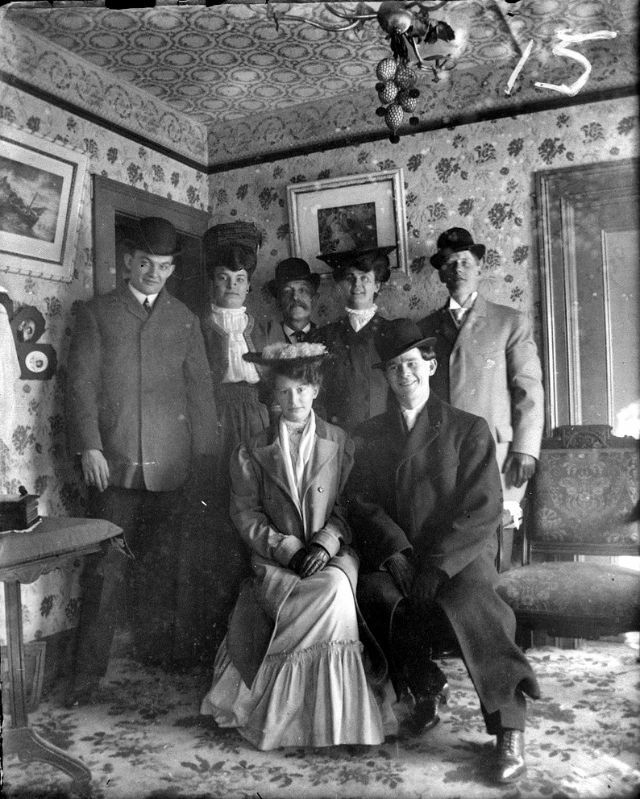 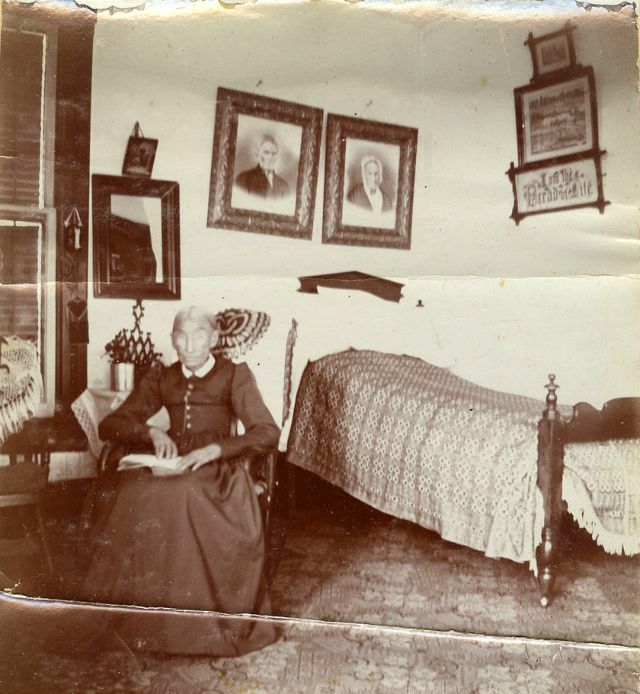 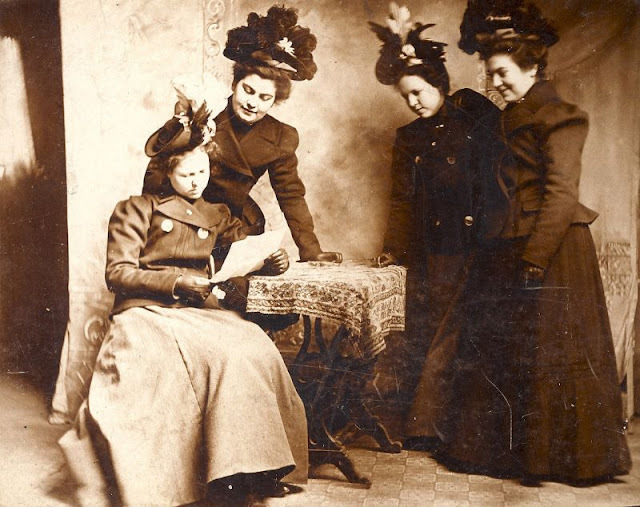 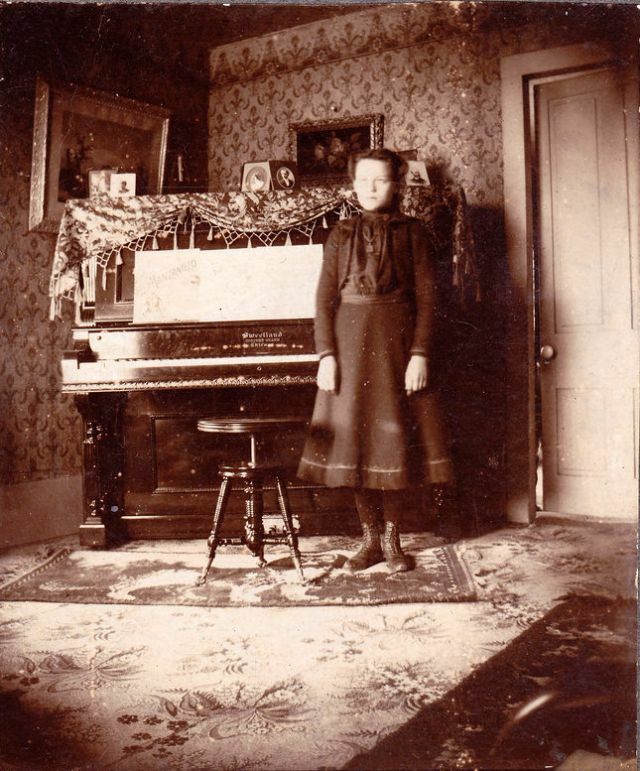 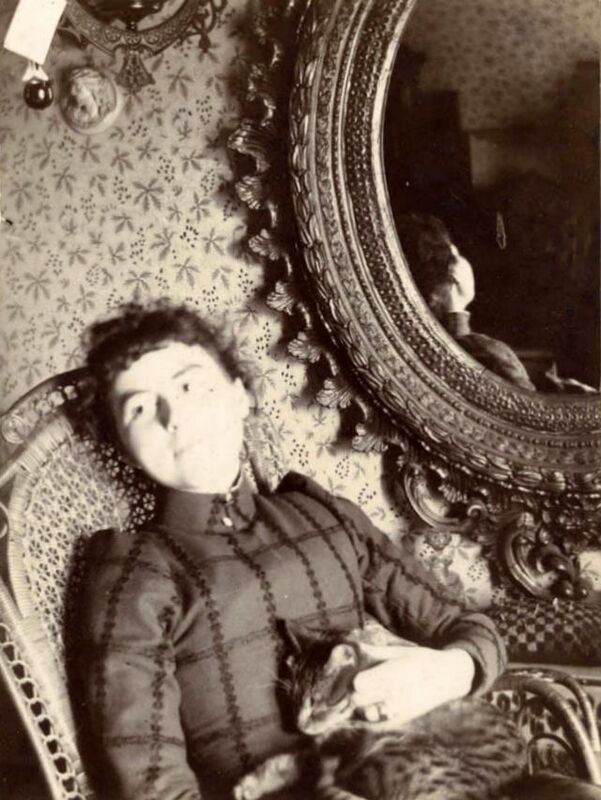 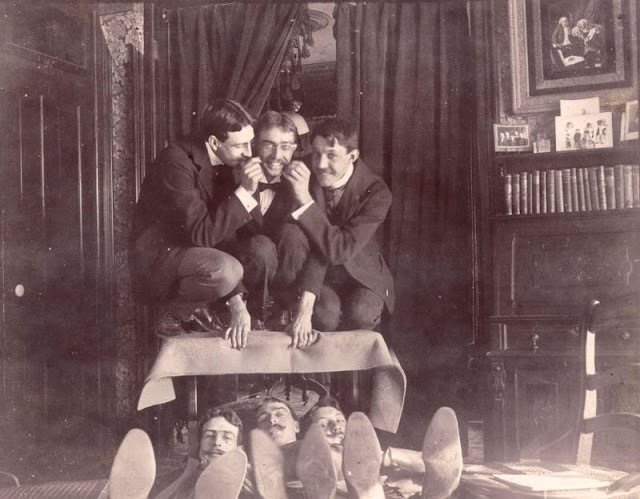 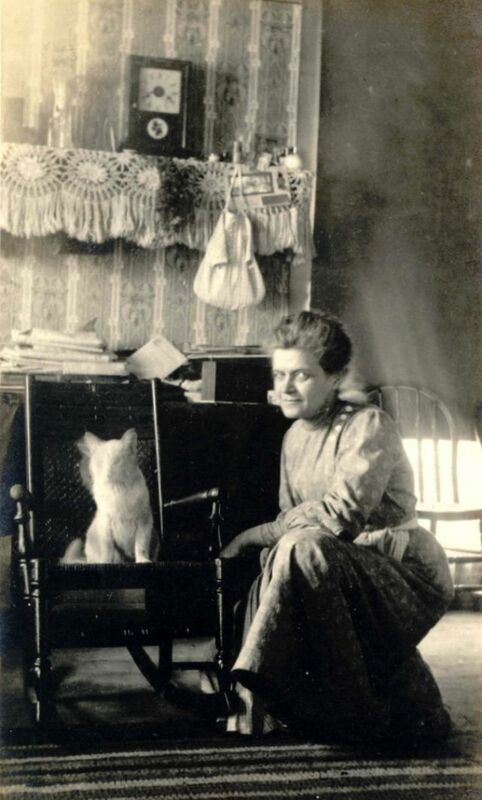 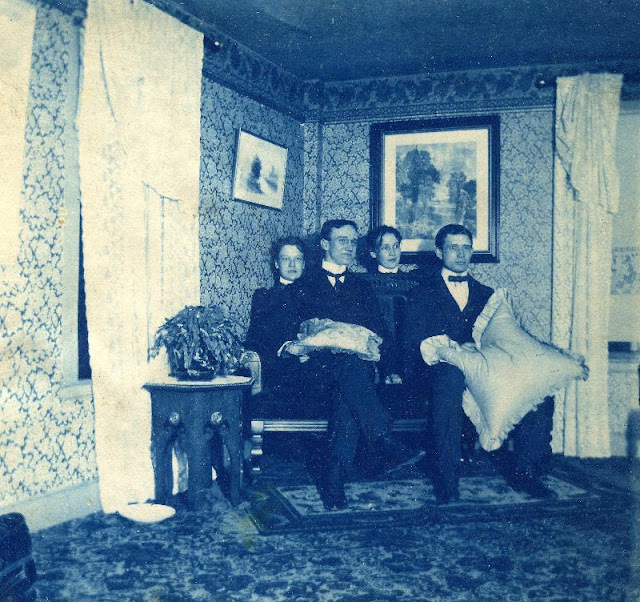 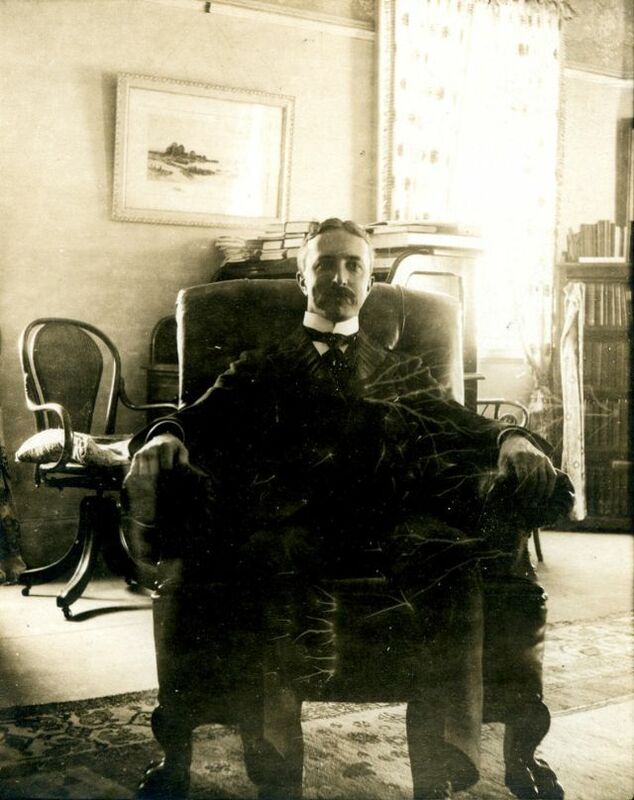 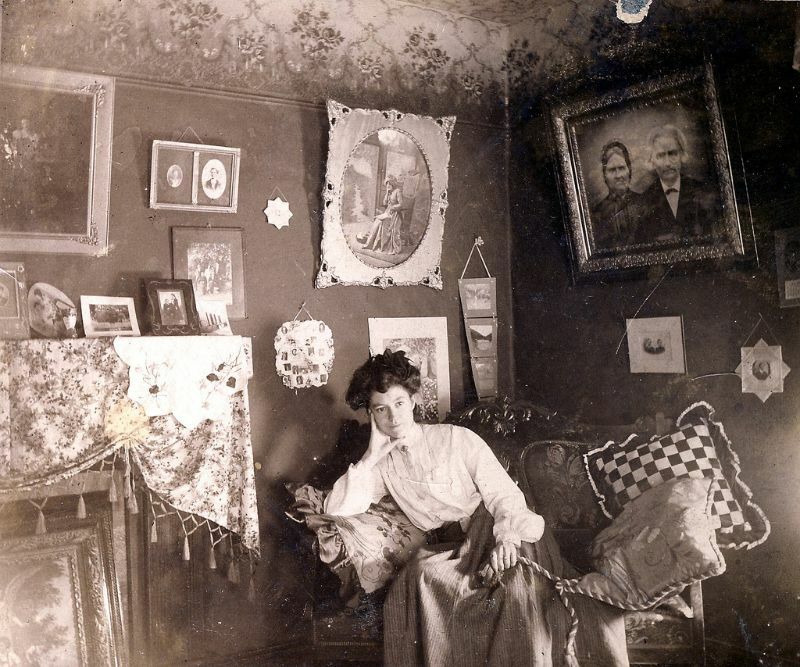 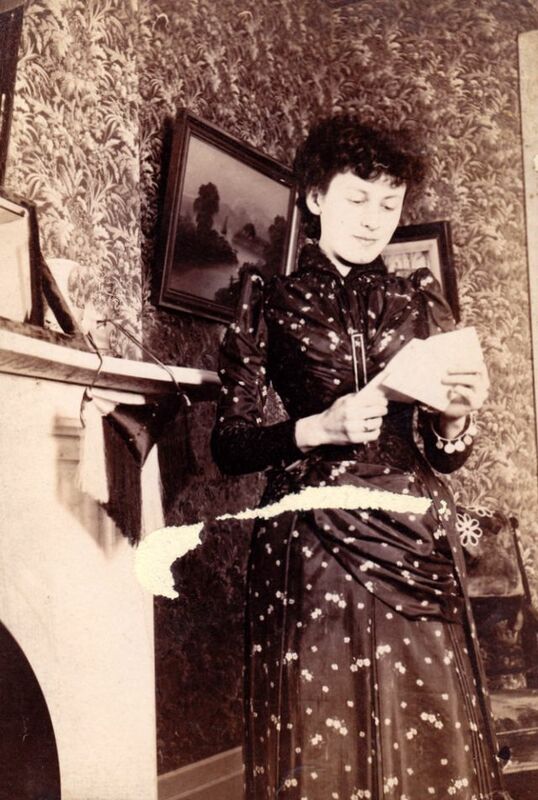 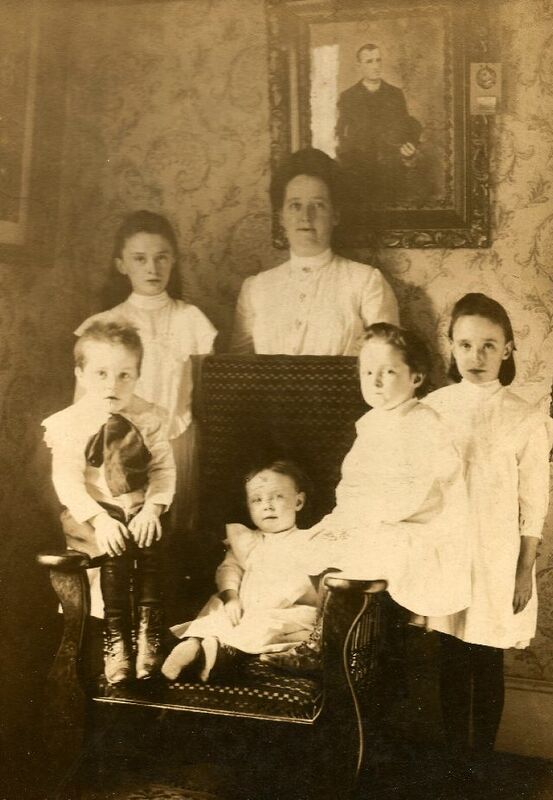 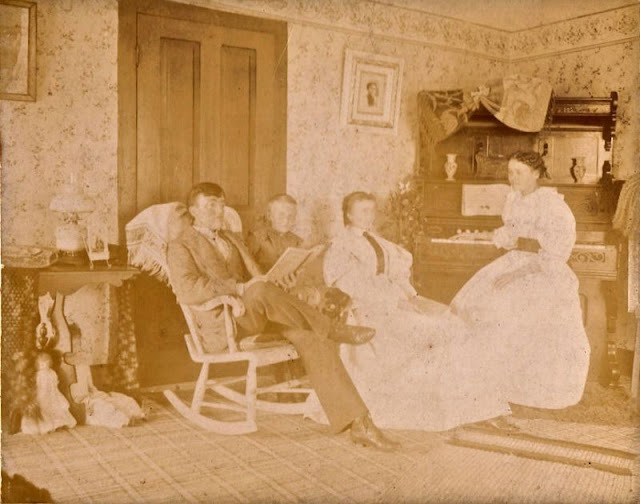 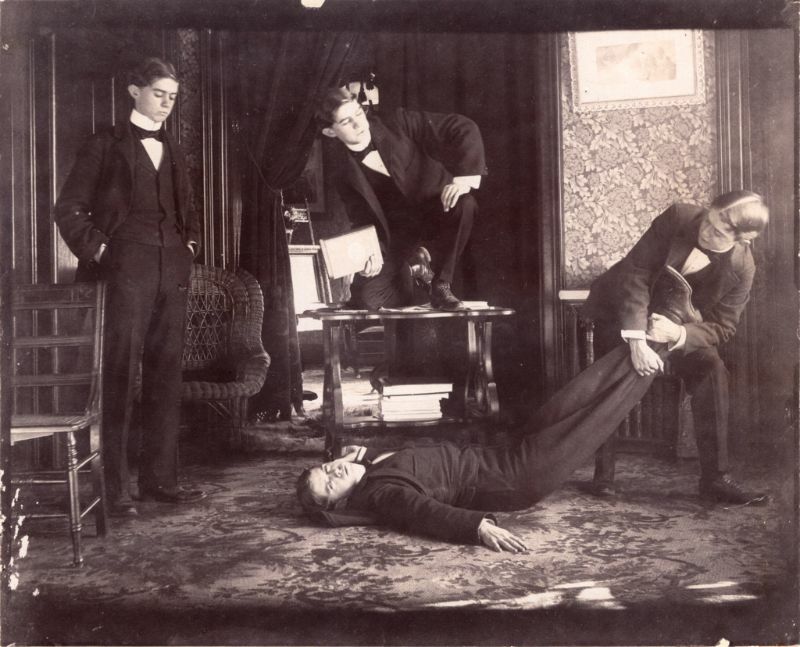 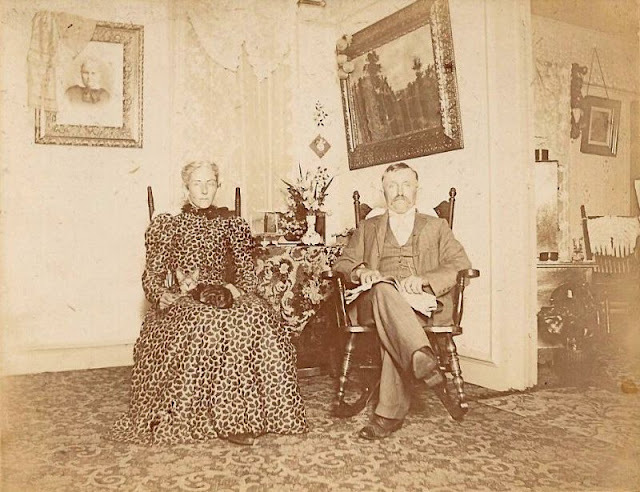 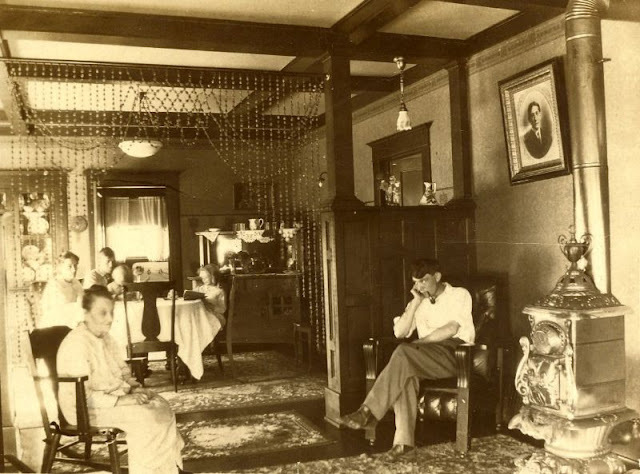 Take a look at these photos to see Victorian people in their rooms from the 1880s and 1890s.